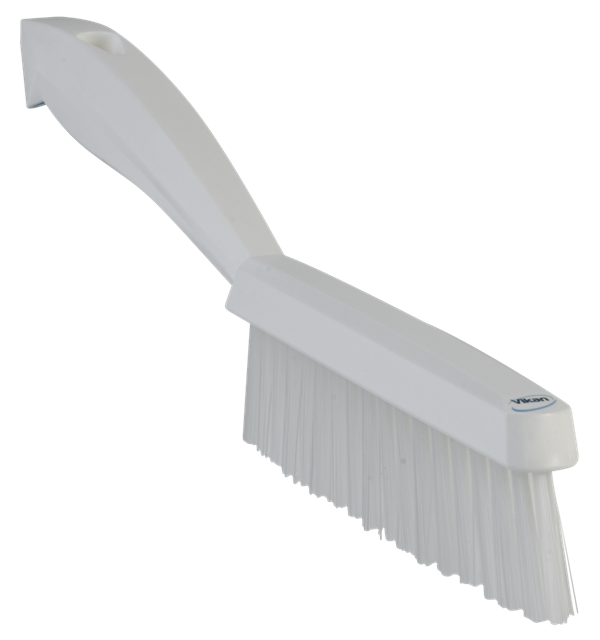 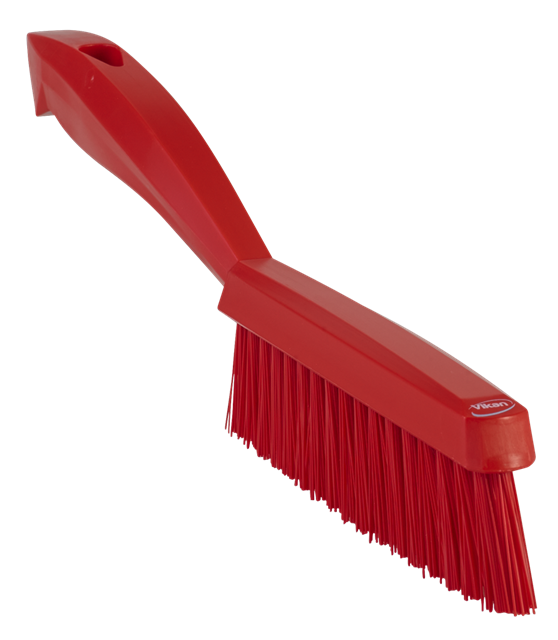 The very hard bristles of this brush makes it a good choice for cleaning stubborn dirt in narrow areas, e.g. where the conveyor belt meets the sides of the conveyor, rubber seals of fridges, etc. 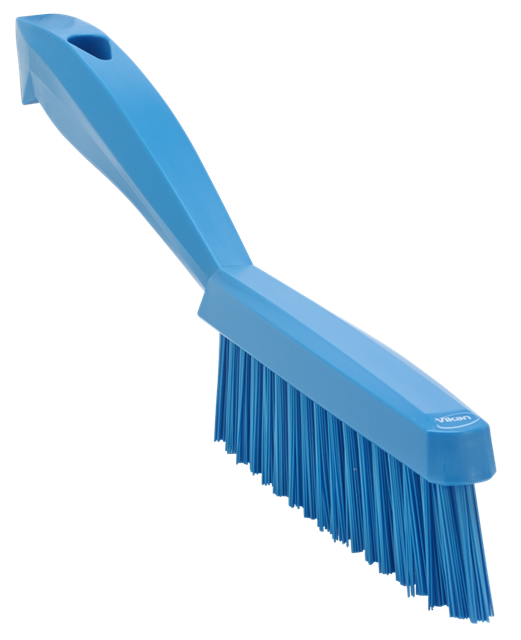 It is also used for gutting fish.